Each year, our Santa struggles with gifts for the stocking. I don’t like junky stocking stuffers, but lean toward buying items that will be appreciated and consumed, not items that will sit in a drawer or forgotten in a day. Hopefully, this list of top holiday stocking stuffer ideas will help Santa in some way! 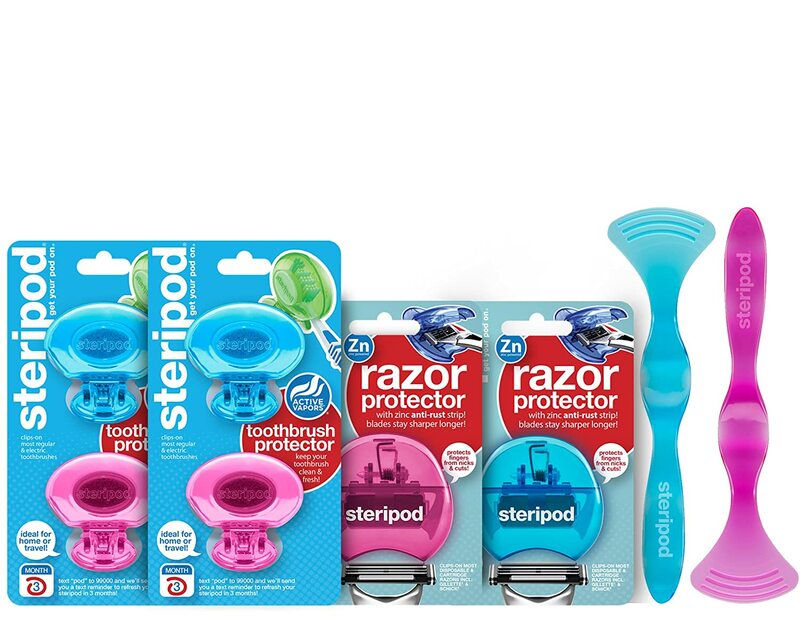 Steripod is an innovative line that comes complete with a clip-on toothbrush protector to keep your bathroom essentials clean. The beautifully designed products can protect your toothbrush, razor and even your tongue. Best of all, the Steripod system is ideal for use at home or on-the-go. Steripod fits any standard or electric toothbrush. Simply clip the patented case on any standard or electric toothbrush, and its special thymol tablet goes to work to keep your toothbrush fresh and protected. The his and her kit includes: 4 Steripod Toothbrush Protectors (2 Blue & 2 Pink) 2 Steripod Razor Protectors in Pink and Blue 2 Steripod Tongue Cleaners in Pink and Blue. The toothbrush protectors are available in a variety of colors, and even come in kid sizes! These are perfect for bathrooms, travel, shaving kits and over-night trips. To see the variety of products available, visit Steripod online. Refresh your lips with the cool sensation of soothing Peppermint! Scented with Peppermint essential oil and other natural moisturizers, this Peppermint Lip Balm from Beessentials softens for lips that are sure to stir-up a Buzz. Beessential makes natural skin care products by hand from start to finish! It begins with fresh, pure honey, beeswax and Propolis from their family farm in Ohio. They then blend these with other natural ingredients, such as Coconut, Olive & Virgin Hemp Oils. All of their natural body washes, body creams and hair care products are free of harsh chemicals like sulfates, parabens and PEG. Since their company honors the hardest worker, the honeybee, you best bee-lieve they are also a cruelty-free company! Slammers Snacks are tasty, superfood snacks designed to fuel kids with organic fruits and vegetables such as mangos, acai, sweet potato, and yumberries. Not only are they a healthy alternative to sugar-laden candies and convenience store snacks, Slammers are, crumb-free, easily digestible, and serve as a great source of essential vitamins. You can purchase Slammers on Amazon. 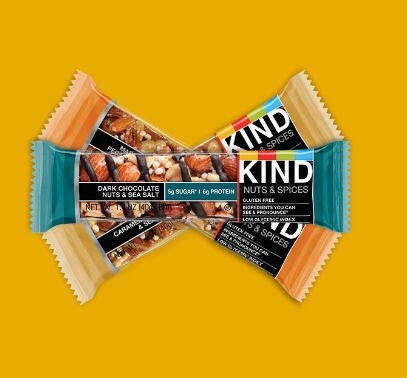 Imagine 20 KIND bars in a cube. Filled with delicious Nuts & Spices bars, these cubes make a perfect gift for any snack lover on your list. Each of the cube’s sides fall away to reveal your bars, making it easy to eat, share and enjoy. The Nuts & Spices bars have to meet a strict standard: only 5 grams of sugar or less. With ingredients like dark chocolate, caramel, and vanilla, they seem too good to be true. Made from only simple and natural ingredients, they are a snack that only tastes indulgent. Most odor eliminators are as ‘natural’ as pleather pants. But Poo~Pourri takes natural seriously. They care about your health, your toilet, and this precious world we poop in. That’s why they use No harsh chemicals—just stink-fightin’ good stuff (oh, and a pinch of magic). Unlike the other guys, Poo~Pourri is safe to breathe and safe to flush. 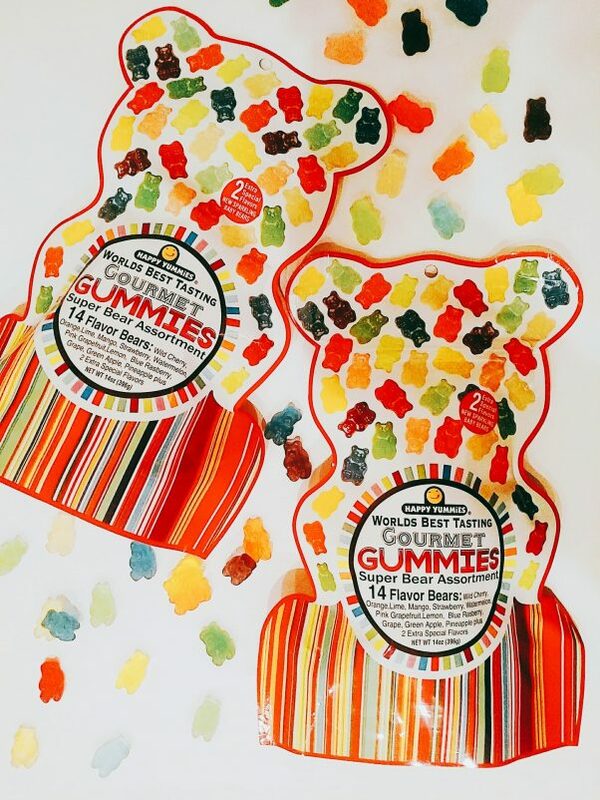 Happy Yummies Worlds Best Tasting Gourmet Gummies Super Bear Assortment – The Best Tasting Gummies packed in an exclusive 14 oz bear package makes a great gift for someone special! Includes 14 flavors of gummy bears plus two extra special flavors.